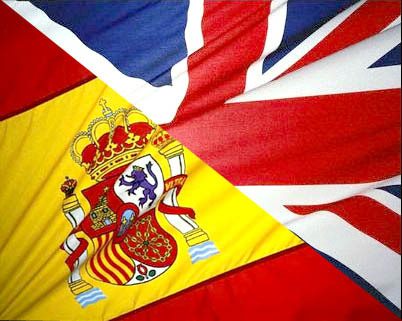 There are many topics which talk about the differences between Spanish people and English people. It is normal that there are differences because the customs, cultures, and tastes are different. But it never hurts to do a summary, especially if you plan to visit Spain. Learning Spanish in Spain is sometimes difficult, especially by the change of culture and customs. As you know MyHOSTpitality wants to put you things easy, so we always write posts useful and interesting. In Spain, all meals are served with bread, what English people find it weird. English people only use the bread for sandwiches, and always with butter. Spanish people are surprised by the great English breakfast. However, sometimes Spanish people eat English breakfast. English people love to drink tea at any time of day, and Spanish people like to drink coffee at all hours. But now many Spanish people are starting to drink tea at all hours. Spanish people drink water without anything. However, English people drink water with gas or with lemon. In Spain, they eat around 3 of the afternoon, and they dinner around 10. Instead, in the United Kingdom, they eat at 12 and dinner at 6. In the United Kingdom, people are much more formal and polite. They are more punctual than Spanish people, and they have a lot of respect for others. Spanish people upside down, they rarely give thanks. Spanish people greet with two kisses, and English people greet with hand. Spanish people are much closer to his family to English people, Spanish people talk to their family every day. If you want to learn Spanish free, from MyHOSTpitality we encourage you to join our community, where you can organize your own language exchange. You can see our three modalities: an exchange, a host, a guest.